Protection that pays – see how much better we stack up against some of our competitors. 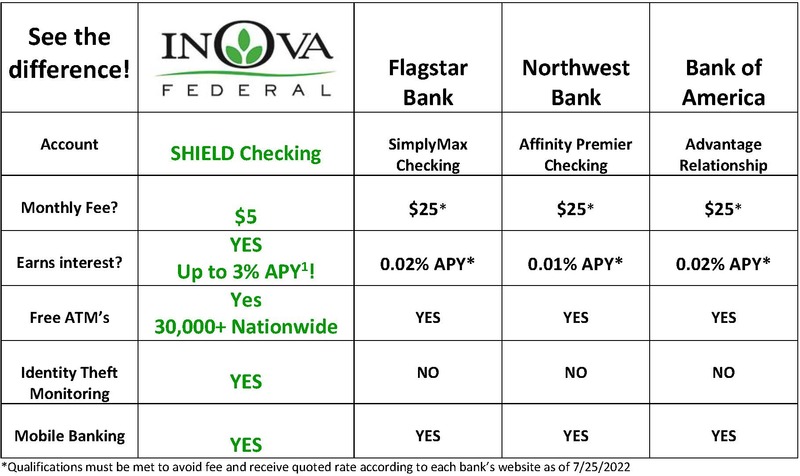 1Shield Checking account is a tiered rate account. If your average daily balance is $15,000.00 or below and you meet all of the following requirements, the first dividend rate and annual percentage yield listed for this account in the Rate Schedule will apply: 1) you complete at least 8 debit card transactions each statement period; and 2) maintain an average daily balance greater than $3,500.00. If your balance is greater than $15,000.00, the second dividend rate and range of annual percentage yield listed for this account will apply. Each rate will apply only to that portion of the account balance within each balance range. If you do not meet the requirements to earn the premium dividend rate, the third dividend rate and annual percentage yield listed for this account will apply to the entire balance in the account. 2Other fees such as non-sufficient funds, overdraft, and sustained overdraft fees, etc. may apply. See fee schedule for details. 3IDProtect service is a personal identity theft protection service available to account owner(s) and their joint account holders. The service is available to non-publicly traded businesses and their business owner(s) listed on the account (service not available to employees or authorized signers who are not owners). Service is not available to a “signer” on the account who is not an account owner. Service is not available to clubs, organizations and/or churches and their members, schools and employees/students. For revocable grantor trusts, the service is available only when a grantor is serving as a trustee and covers the grantor trustee(s). For all other fiduciary accounts, the service covers the beneficiary, who must be the primary member (Fiduciary is not covered). 4Special Insurance Program Notes: The descriptions herein are summaries only. They do not include all terms, conditions and exclusions of the policies described. Please refer to the actual policies for complete details of coverage and exclusions. Insurance is offered through the company named on the certificate of insurance. 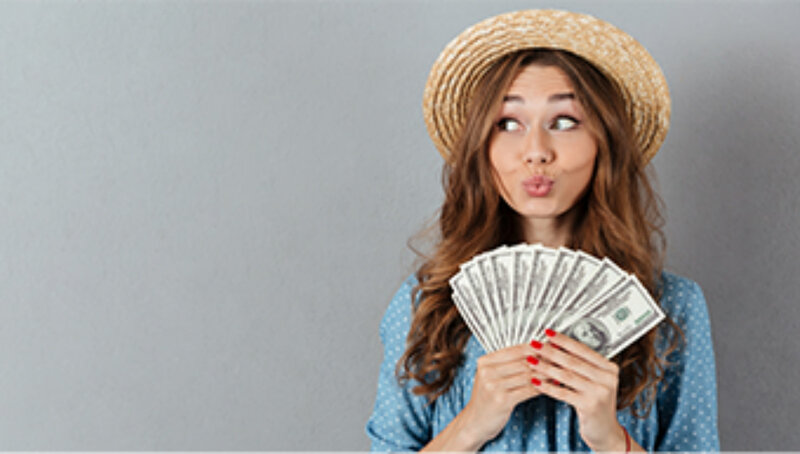 5To avoid paying a fee, choose any INOVA FCU ATM, Alliance One or CO-OP Network ATM across the nation. Foreign ATM transactions will be charged $2 per transaction. 6We reserve the right to substitute a gift of similar value. Free gift may be reported on a 1099-INT or 1099-MISC. Free gift provided at the time of account opening. 7Up to $10 for checks and debit cards from another financial institution given at the time the checks/debit cards are presented. Insurance product is not insured by NCUA or any Federal Government Agency; not a deposit of or guaranteed by the credit union or any credit union affiliate.